Welcome Delia Latham to the blog today! 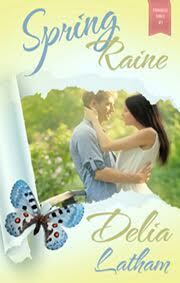 She's here to share her thoughts on her sweet story, Spring Raine, via an author interview feature. Now here's what's in it for you, well one of you: She's agreed to give away one copy of her book to the winner of the book giveaway contest! Details are available at the end of this blog post. Alexis: This book is the first installment in your Paradise Pines series. Tell us about this new series of yours. What makes it special? Delia: The series is special to me for a number of reasons, not the least of which is the location. Cambria, California is a favorite getaway spot for my husband and me. A dear friend of ours owns a vacation home there, and gives us access to it whenever possible. Susan’s home has become “ours” in a manner of speaking. We love it…and we love the little village. Situated on California’s Central Coast, Cambria is a lovely seaside community, blessed with many talented artisans, lots of wonderful little shops and boutiques, numerous possibilities for activities and touring—it’s a perfect vacation area that displays God’s awesome creativity in every direction. Aside from the location, the series is filled with romance, interesting characters, realistic life situation…and a few otherworldly ones. What’s not to love? Alexis: Raine Presley is your heroine. Describe her personality, character flaws and heart. Delia: Raine is a kind-hearted, intelligent young woman who has spent twenty-plus years in meek submission to her parents’ “Plan” for her life. She’s never resented their unrelenting rigidity of mind, and their efforts to fit her into their idea of who she should be and what she should become. But now, with university behind her, preparing to step into a demanding job in forensic science, Raine longs for a break from the constant intensity and scrutiny before diving into her future. So she visits Cambria, and her life will never be the same again. She’s a strong woman, but family circumstances have molded her into something of a people pleaser, dependent on others to make decisions for her. She simply goes along with the consensus. But once in Cambria, away from old influences and routines, God is free to work some changes in Raine, and set her on a brand new path. Alexis: Why does Raine feel that she needs a “wild and crazy” adventure before starting work in forensic science? Delia: Raine’s idea of “wild and crazy” is tame, compared to most. Because she’s always been so sheltered, even cloistered, just doing something without her parents is “wild and crazy.” Raine just wants some time alone, to have a bit of fun, make her own choices and do as she pleases for a short time before starting her new career—a career that will require far more than simply long hours and ‘satisfactory’ performance. Alexis: Why does she choose Cambria, California as the setting for her adventure? Delia: A random choice that turns out to be a God thing. Alexis: Why do Raine’s parents disapprove of her new adventure? Delia: They think she should be preparing for her new job. Studying, learning more about her position. Submerging herself in forensic science. They’re also upset that she is temporarily depriving them of the ability to oversee her actions and decisions. Alexis: What is it about the Paradise Pines Lodge that moves Raine into her destiny? Delia: Miss Angie is a large part of what makes the lodge life-changing and unforgettable. There’s something divine about the woman, and that ‘aura’ expands to include the entire Paradise Pines property. Wherever Raine wanders, God seems to have something waiting to move her a little further into His plan. And Miss Angie has a way of gently guiding folks into the right place at the right time to make those things happen. Alexis: Declan Keller is your hero. Describe his looks, personality, hopes and heart. Delia: Ahhh…Declan! Think Eric Dane…the man is beyond handsome. Dark blond hair, blue-gray eyes, a strong jaw. Muscled torso. Besides being easy on the eyes though, Declan is a good, honest man. He’s on the verge of a success he’s worked hard to achieve…and then Raine bursts into his world—literally. Their first encounter is anything but romantic, and it soon becomes clear that he’ll have to spend far more time with Miss Angie’s new guest than he wants to. But he does it, because he’s made a promise to someone who matters, and Dec is a man of his word. Alexis: What is Declan’s career? Delia: He’s a wood artist, and his carvings are becoming increasingly popular. Alexis: Why does Declan feel that he needs to babysit Raine? Isn’t she a grown adult? Delia: She is a grown woman, though unusually naïve in some ways—a result of having been over-protected and controlled throughout her life. Even now, in her belated attempt at some kind of freedom, Raine’s parents have secretly arranged someone to watch over her in their absence. Thanks to a promise made by his father, the role falls to Dec, who reluctantly agrees, under the impression Raine is a teenager. Alexis: It looks like Raine is the unexpected answer to Declan’s prayers. Why is it that Declan wasn’t expecting this type of blessing? Delia: Dec is focused on getting his career up and going. He likes being a bachelor, and has given very little serious thought to women, and none at all to an actual commitment-type relationship. Alexis: Who is Miss Angelina Love and how does she impact Raine and Declan’s love story? Delia: Miss Angie is something of a mystery. She has a way of knowing a person’s heart. Her knowledge of Scripture is outstanding, and she loves to quote from the Bible…always having the perfect scriptural response to any given situation. But where she came from, and exactly what her role is at the lodge, is something the readers will need to determine for themselves. Alexis: What was your greatest challenge—and your most celebrated victory—while writing this story? Delia: Would breaking my kneecap in half be counted as a challenge? LOL. We moved to Texas just as I started on this book. While we were moving into our new home, I fell on the driveway and split my kneecap squarely in half. Had to have surgery, and was in intense pain for many weeks. Trying to write through all of that was one of the greatest writing challenges I’ve ever experienced. The greatest victory was when God broke the creative wall that erected itself about midway through the storyline. For a while, I wondered if I’d find myself in breach of contract on this one. Alexis: If you stepped into Declan’s story to counsel him about Raine, what would you say? Delia: The truth will set you…and Raine…free. Alexis: What do you want your readers to remember most about this book? Why? Delia: I hope they’ll see the need to submit themselves, like the caterpillar must, to God’s chrysalis, knowing they’ll emerge a brand new creature—changed, perfect, beautiful and free to soar. Alexis: Thanks for the interview, Delia! Do you have any closing comments? Delia: Thank you, Alexis, for inviting me to visit your blog! I enjoyed the interview, and I hope your readers do, as well. I’d like to share with them the following verse that speaks to our beautiful new lives after emergence from God’s chrysalis: 2 Corinthians 5:17, "Therefore if any man be in Christ, he is a new creature: old things are passed away; behold, all things are become new." Blurb for Spring Raine, Paradise Pines series, Book 1: An uncharacteristic, last-minute decision to do something "wild and crazy" before entering the stressful world of forensic science sends Raine Presley to Cambria, California. Against a cloud of disapproval from her slightly manipulative, over-protective parents, she signs a seasonal lease at the beautiful Paradise Pines Lodge...and winds up over her head in life and love. 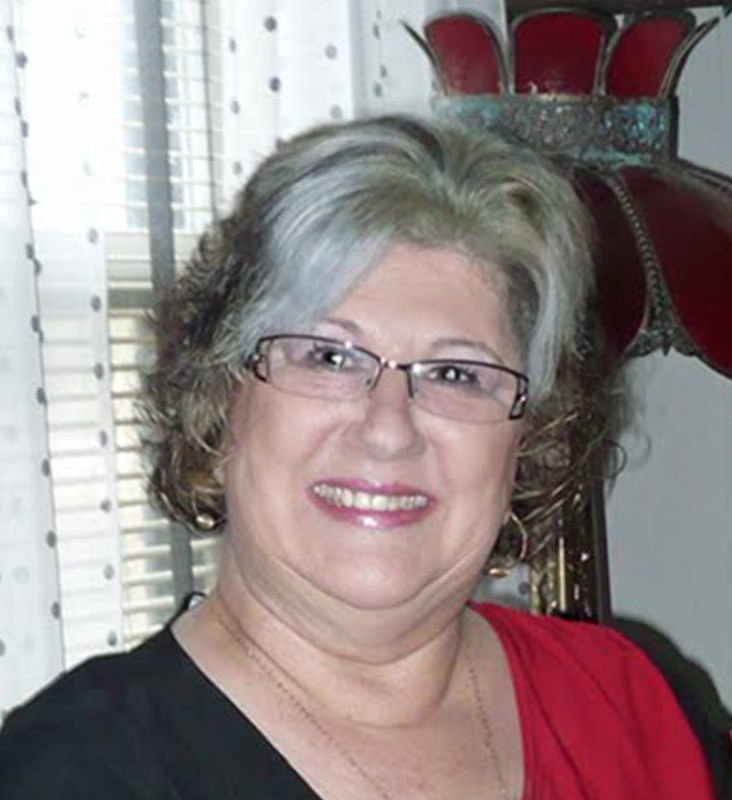 Delia lives in East Texas with her husband Johnny. 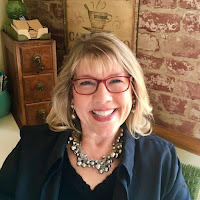 She’s a Christian wife, mother, grandmother, sister, friend, and author of inspirational romance…with a finger or two immersed in the design pool, where she creates beautiful marketing material for other authors. Delia treasures her role as child of the King and heir to the throne of God. She’s got a “thing” for Dr. Pepper and loves hearing from readers. Welcome! You’ve reached my stop on the Litfuse blog tour for Control Girl by Shannon Popkin. The full title to Popkin’s book is, Control Girl: Lessons on Surrendering Your Burden of Control from Seven Women in the Bible, and she stays true to it. This is a book about learning how to “let go and Let God” as many people in Christian circles say. It may sound like a cliché but it is such an important skill to learn and apply to your life. Popkin shares stories from her personal life as a wife and mother throughout this book. She’s real, honest, raw and her message will touch your heart. She touches on the lives of women who lived in the era that is written about in The Holy Bible. Her insights about these women of faith who lived back then are powerful! The way that she ties in their real-life situations with present day realities for women is very inspiring. She knows how to make a connection between the faith of Bible characters like Sarah who was impatient in waiting on God’s promise for her to bear a child, and Leah who was unloved by her husband…and use that connection to teach the reader lessons which women can learn today from those who lived in the past. Popkin challenges her reader to let go of how they think that their life should be and trust God to provide His perfect peace and trust that He knows best. The author shares her struggles and discoveries that she’s learned in her own faith journey with God. Her honesty and fearlessness in sharing personal stories from her life story is inspiring. Popkin does everything that she can in this book to encourage women and motivate them to lay down the “burden of trying to control everything and find rest in surrendering to the One who is truly in control”. This book is worth a four-star rating and definitely worth sharing! Are you trying to stay in control of your quest for peace, joy, and security . . . and you're exhausted? Shannon Popkin's debut book, Control Girl, is a must-read for anyone with a heart that craves control. Join Shannon as she shares what she has discovered about her own control struggles and about God from studying seven Control Girls in the Bible. Whether it was Eve's desire to know instead of trust, Sarah's inability to wait for God to move, or Rebekah's controlling hand on her family's future, each of these women's stories contain warnings and lessons for us today. Kara Swanson writes "Words that Bring Worlds to Life" and today, she's here to share her story about a personal struggle. Its such a simple concept, but one that can change a life. Its presence can keep us afloat—or its absence can drown us in our own despair. Can hope be found in pain? When your body and your mind are telling you it’s hopeless—can something else give you the assurance that it’s not? That you are never without hope? These questions swirled around in my head as I curled up on the floor outside my dorm, tears leaking through the fingers that covered my face. My shaking hands clenched a phone that had just made one of the hardest calls of my life. I’d told my parents to come pick me up—that I couldn’t handle college any longer. My body hurt too much. Can I find hope in this? So much of my life I’d spent waiting for this moment. For the chance to be someplace where I could find purpose pursuing my dreams—and make lasting friendships. Where I wouldn’t be alone. I’d been alone so often. Now, I’d never felt more desolate. How can this be for a hope? For a future? As the daughter of missionaries, I grew up in the jungles of Papua New Guinea—a small island located above Australia. I spent sixteen years there, watching as His light illuminated a tribe of people trapped in the darkness of an animistic worldview. People who’d lived in fear for so long. I witnessed first hand as their despair was transformed into a hope that could not be shaken because of the One it was founded in. The God-man who spent his own blood for them. He had been with me through the years that stretched on, often times lonely as I was the only English-speaking girl in our tribe. In the constant moves, in the goodbyes and the uncertainties. He had brought me this far, to this moment, and he wouldn’t just let me fall. As I sat outside my dorm, having only been able to survive college for three weeks before the symptoms of my disease had grown too overwhelming to function, I clung to that truth. He won’t let me go…He won’t let me go. That college experience had promised so much more than just a career doing what I loved, it had promised that I would finally not be alone. That I would be surrounded by those my age. Instead, it turned into another painful goodbye to the fast friends I’d made in that short time. I’d said so many goodbyes, but as I lay in the back of my parent’s van as we drove away from the campus, I realized those goodbyes never grew easier. If anything, they grew worse. How can I find hope in this? Dreams shattered. Body broken. Heart torn. But my soul? My soul still lived. He has gotten me this far, He has always been my hope—and will continue to be. Days turned into months, and while my symptoms receded to a steady plateau, they didn’t change enough for me to function normally. Lyme Disease, a sickness received from a tick bite, was very little-known. No clear cure. But, while my chances of being well enough to return to college the following year dissolved, I began to realize something. I couldn’t control Lyme Disease anymore than I could control the loneliness I’d felt while in the tribe. I couldn’t control the circumstances that had shaken my plans. But, that was okay. It had to be okay. You see, I began to realize that my hope couldn’t be founded in a sense of happiness. If I could only find joy when I felt well, I’d never smile. No, my hope had to be founded in something so much deeper, just as it had been during that stint of loneliness. That hope had to be rooted in the one who formed me before time, who knew every step and every heartache. Who had wrapped his arms around me when I’d felt alone—and who gave me the strength to rise every morning from bed when my bones felt like they were on fire. He was my focus. My hope. The reason I was alive. The reason I had enough brain capacity to write, if nothing else. He was my reason for life—whether or not I ever was cured of Lyme disease. Because, it’s not about me. It never has been. If my only purpose in life was my own happiness, I’d never be satisfied. It would never be enough. But with Him? With Him I can have a peace that transcends understanding. I can laugh in the pain and stand through the rain. I can trust that every emotional and physical trial is going to be used to bring Him glory. Just as the countless martyred saints in his Word brought Him glory, even in their deaths. When my focus shifted, no longer on myself but on how I could use my story and my pain for His glory, things began to change. Not all at once, but changing none the less. I was able to relate to those who struggled, because I’d fought that battle. Fight it every day. Again and again, I saw Him working small, glorious miracles in my life. From the energy needed to volunteer at a week long camp for abused foster kids—to being able to hold a part time job working for an editor, or attending writers’ conferences. You see, even in this waiting period, He had continued to provide ways for me to strive for my dreams. To make a difference. To impact people. And on the days when it feels to hard to bear, when I want to curl up and cry like that night at College—I remember. I remember that I am not alone. Never have been alone. That my life is a living reminder of His goodness. That my pain could be that salving balm to someone else’s shattered life. That my joy and my happiness isn’t dependent on how I feel. Because His grace is so much greater than that. I can smile through the tears, because I know that He is continuing to sustain and use me in ways I can’t imagine. That He will give me the strength. He always does. At seventeen, she independently published a fantasy novel, Pearl of Merlydia. 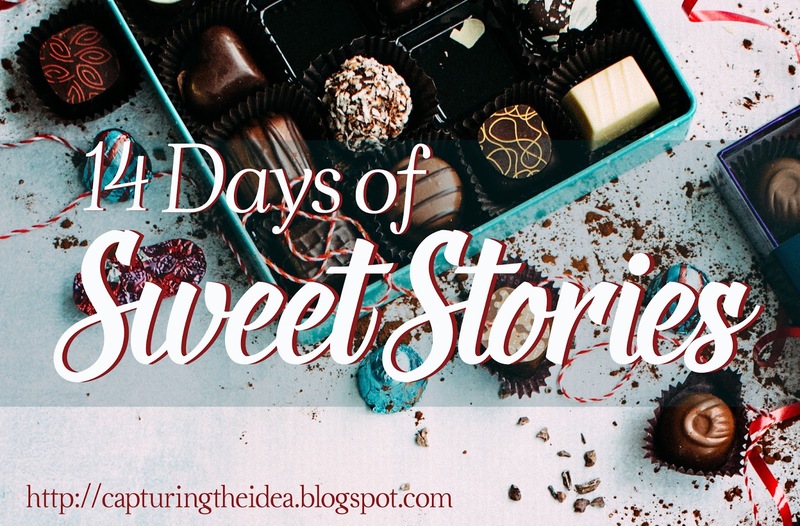 Her short story “Distant as the Horizon” is included in Kathy Ide’s 21 Days of Joy: Stories that Celebrate Mom. She has published many articles, including one in the Encounter magazine. She received the Mount Hermon Most Promising Teen Writer Award in 2015. You can find her online at readwritesoar.com (soon to be karaswanson.com) or on her Facebook page (Kara Swanson, Author), Twitter (@kara_author), and Instagram (@karaswanson_author). 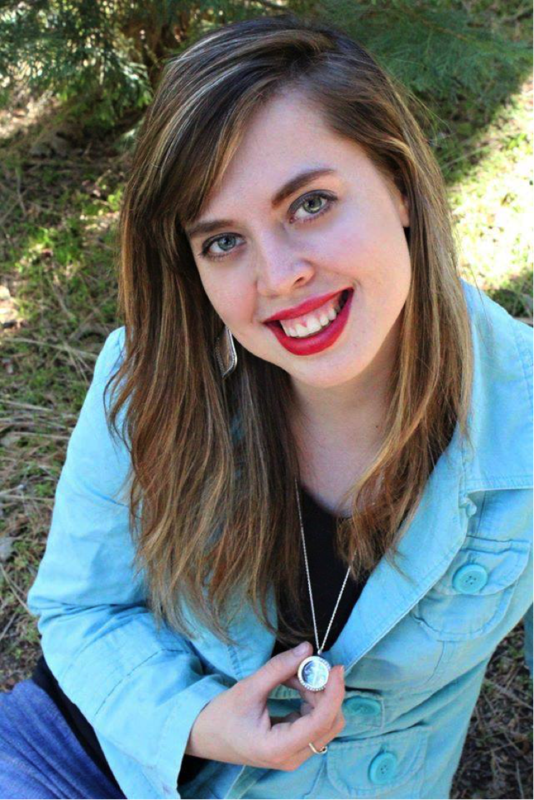 Interview: Kimberly Rose Johnson, author of "A Love Song for Kayla"
Welcome Kimberly Rose Johnson to the blog today! She's here to talk about her new novel, A Love Song for Kayla. Look at the cover of her book. Isn't it pretty? When two strangers cross paths their lives are forever altered. 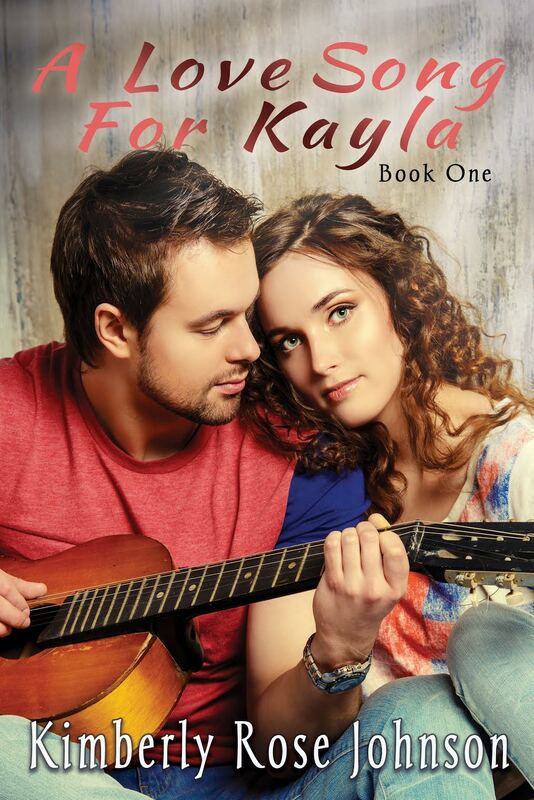 Ever since she was sixteen Kayla Russell has dreamed of her perfect man. She even went so far as to make a list of desired qualities. The list has proven to be a bust since no man is that perfect, at least until she meets Derek. But will his secrets come between them and destroy what could have been something wonderful? When music superstar Derek Parker comes to small town Oregon to escape the paparazzi he goes incognito as a deliveryman. He wants to leave his old life behind, but it proves to be harder than he realized when his past finds him. Now the woman he has come to care for feels deceived and no longer wants anything to do with him. Formerly published under the title A Valentine for Kayla. Now, on to the interview! Enjoy! Alexis: What inspired the title for your story, A Love Song for Kayla? Kimberly: Music plays a strong role in the story, and let’s just say that Derek is a composer as well as a singer. Alexis: Tell us about your story’s heroine Kayla Russell. What is her dream? What in her life prevents that dream from coming true? Kimberly: Professionally, Kayla is doing well, but on a personal level she has yet to find the man of her dreams, which has caused her to grow discontent with her life. Alexis: What inspired Kayla to make a list of desired qualities that she believes compose her dream man? Kimberly: When she was a teenager a series of bad experiences with guys made her decide she needed a list of qualities a man would have to have for her to consider going out with him. Alexis: What age is Kayla when the story starts? What are her thoughts about that list now that she’s older and has not yet met her “dream” man? Kimberly: I don’t think I ever state exactly how old Kayla is. In my mind though she is in her middle twenties. She feels hopeless about finding Mr. Right and has already crossed a couple of her original qualities off the list. Alexis: Tell us about your story’s hero Derek Parker. What makes him “perfect” to Kayla? Share the hope in his heart and his character flaws. Kimberly: Derek, loves the Lord, is good looking, and he can sing. Derek is attempting to leave his past behind because he doesn’t like the person he has become. He wants to simplify his life and believes he will be able to do so a thousand miles away from his old life. Alexis: Can you give us a clue about the secrets that Derek is keeping? If revealed, in what ways will his secrets affect his relationship with Kayla? Kimberly: My lips are sealed. It will have a drastic affect on his relationship with Kayla. Alexis: Let’s not forget the fact that Derek is a music superstar! Awesome! What were the challenges and joys in researching and writing his character? Kimberly: I tossed around making him a jazz signer for a while, but then decided to go more mainstream. However, I didn’t go heavily into that part of his character. It’s more about who he is now. Alexis: Why does Derek go undercover as a deliveryman? What is it about his “old life” that he is trying to escape? Kimberly: Derek wants to be treated like a normal guy, and he wants to be liked for himself, not his celebrity. He’s tired of pretending to be something he’s not and wants a more simple life. Alexis: Why did you set this story in Oregon and not elsewhere? Kimberly: I set all my books in the Pacific Northwest. I live in Oregon and thought it was about time I set one here. This book was originally my fifth book ever published, and up to that point all my books had taken place in Washington State. Alexis: What was the most fun scene in this book for you to write? Why? Kimberly: I love the opening. I can actually remember writing it as it reflected how I felt on that day—Valentine’s Day. I also really enjoyed the final scene. There was a lot of tension in the one. I don’t want to give it away, so that’s all I will say. Alexis: How did your personal taste in music affect your storytelling? Kimberly: I don’t think it did actually. I don’t listen to the kind of music Derek performed. I prefer contemporary Christian music and seldom listen to secular music. Alexis: What food or beverage could you not live without as you wrote this story? Kimberly: Oh my, I don’t remember. But right now dark chocolate is my biggest vice. Kimberly: I think the story will speak to each person differently, depending on his or her life story. For me, it was letting go and trusting the Lord. Alexis: Thanks for the interview, Kimberly! Would you like to share any closing thoughts? Kimberly: This book was originally published as A Valentine for Kayla. It’s one of my favorite stories I’ve written because I can relate with Kayla. Thanks for hosting me, Alexis! This was fun. She especially loves romance and writes contemporary romance that warms the heart and feeds the soul. Buy Kimberly's book on Amazon. Let's extend a new welcome to a returning guest! Judythe Morgan visits us again today with an excerpt from When Love Returns, which is the second book in her Fitzpatrick Family series. I'm sure that you want to know more about this book so dive into the rest of this blog post with Judythe and enjoy your time here today. A brittle silence descended in the dining room, now empty except for the two of them. The sound of water from the kitchen faucet echoed like Niagara Falls. Becca finished off the last of her coffee and shoved away from the table. As she lifted the saucer to take to the kitchen, Ethan spoke, “We really do need to talk. Why don’t you come out to the farm with me so we can have some privacy?” His eyes never left her face. The cup rattled on the saucer. She set it back on the table. Panic coursed through her muscles, like a slowly advancing paralysis. Go with him to the farm where they’d spent so much time planning their future? A future that his disappearance destroyed. She might want answers, to know where he’d been, why he hadn’t contacted her, why he’d returned, but the memories at the Wells’ farm would suffocate her. She needed a more public place. And being alone with him? Becca wasn’t sure that would be a wise move either. She’d fallen head over heels the moment she’d met Ethan Wells in their kindergarten Sunday school class. The crush had grown through the years and they’d planned a life together after graduation. His disappearance caused a heartbreak that had never completely vanished. A heartbreak she’d never openly shared. Not even with her twin sister. She’d simply put Ethan out of her mind and moved on. Now if he was back to stay, she wasn’t sure what would happen. “We could go out on the porch swing,” she replied. At least there, if the discussion became too intense she’d have a safety net of her family close by. “Give the guy a chance,” Nick said over his shoulder and placed a dinner plate in the dish drainer. Becca wasn’t sure what answers she wanted or what Ethan could say to explain his disappearance. For so long, she had hoped and prayed for his return, but hope had only been a tease, preventing her from accepting the reality that he wasn’t coming back. She refused to consider his return meant anything. Becca Fitzpatrick fell in love with Ethan Wells at age five. At eight, he proposed. At seventeen, he disappeared and broke her heart. 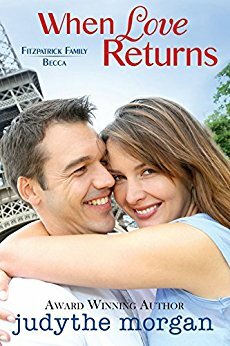 Twelve years later, he returns with a new name - Ethan LaMotte - and a new life in Paris. He claims he’s never stopped loving her. Once upon a time, Becca believed him. Not anymore. Now family, friends, and adoring students fill her life. Plus, she has an opportunity for the job of her dreams in her small Texas hometown. Although their lives and jobs are an ocean apart, Ethan won’t lose Becca another time. But, will she risk her heart again and accept this new Ethan’s proposal? 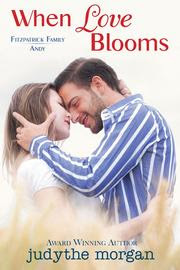 When Love Returns is a beautiful story with fully-formed characters that will grab your heart. The Fitzpatrick family is warm and big, and just the kind of family we'd all like to belong to. Ethan and Becca are complex characters who have some hard choices to make. This story is about second chances and letting go of the past to embrace an uncertain, but hopeful future. There are a couple of nice twists that kept me reading. I can't wait for the next book in this series. 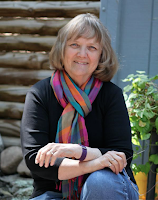 Welcome Kathy Ide, the famous writer and editor, to the blog today! She's here to talk about her new collection of stories, a book titled, 21 Days of Love: Stories that Celebrate Treasured Relationships. Kathy agreed to give away not one, but two copies of her book! You can read the details about that toward the end of this blog post. 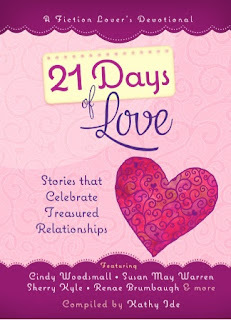 Here's the blurb for Kathy's book: 21 Days of Love is book 3 in the Fiction Lover's Devotional series--collections of short fictional stories followed by brief Life Applications, each chapter written by a different author. This book offers engaging, inspirational short fiction stories written by new, intermediate, and well-know nauthors including Cindy Woodsmall, Susan May Warren, Sherry Kyle, Renae Brumbaugh, and more. These stories represent all kinds of love. Woven through each story is the sustaining hand of our loving heavenly Father. On Valentine's Day and every day--whether your life is chocolates and flowers or loneliness and pain--let these stories fill your heart with hope, peace, and most important, love. Enjoy reading this devotional that Kathy's written about her book! Have you ever had a dream that just wouldn’t let you go…but it didn’t go anywhere, either? Sixteen years ago, I had the idea of doing a devotional for people who love fiction. I’ve always loved Christian fiction, and I’ve seen its power to touch hearts and change lives, both firsthand and hearing about the experiences of others. When I read a novel, I relate to the characters and their situations, even when the details are vastly different from anything I’ve experienced. And reading how those characters responded to their trials and conflicts helps me see how I can do things better in my own life. But you know, in my quiet times with the Lord, reading a chapter from a novel just doesn’t seem appropriate. A devotional with short fiction stories seemed like a great solution. So I decided to create one. Since I’ve been a professional freelance editor for several years, I could edit the submissions I chose to use, polishing them without losing the authors’ unique voices. And since I’ve been teaching and speaking at writers’ conferences across the country for years, I’ve connected with several authors at all levels, including well-known best sellers. So there were a lot of people I could personally ask about submitting to the books in this series. And I’d developed a strong social media presence, so I could get the word out to other writers as well. I started pitching the idea to the publishers I met at writers’ conferences. Some of the editors were really excited about the idea, but the proposals never developed into a contract. In spite of numerous rejections, I just knew God had a plan for this concept, so I kept pitching it—working on other books (and my editing business) in the meantime. Finally, BroadStreet Publishing caught the vision I had. They created these devotionals as beautiful hardcover gift books, with full-color interior pages, even ribbon page markers. They’re so gorgeous, I’m actually glad the other publishers turned me down! 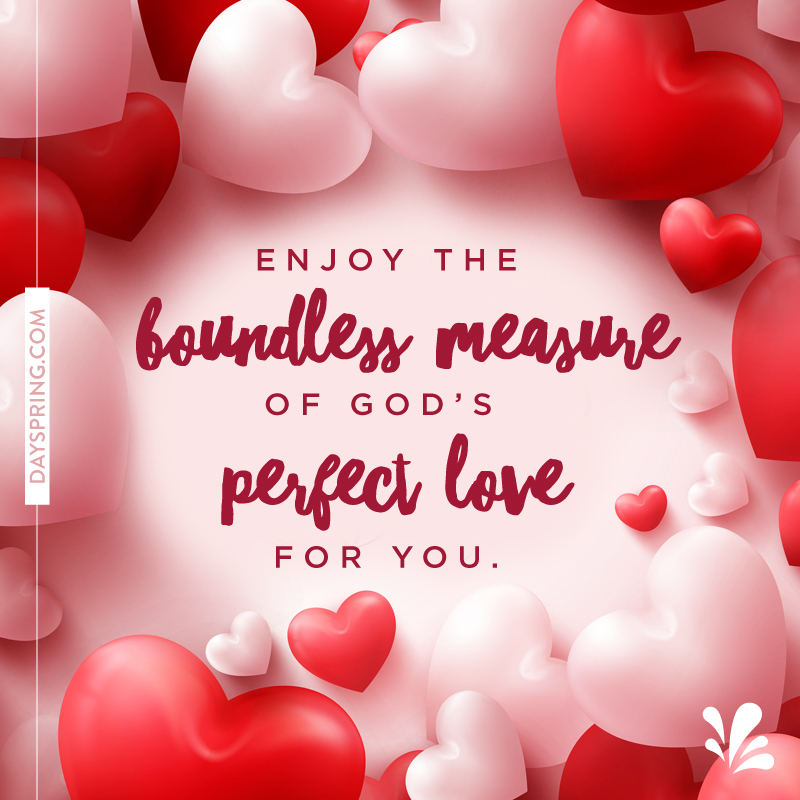 21 Days of Grace: Stories that Celebrate God’s Unconditional Love, the first book in the Fiction Lover’s Devotional series, was launched in June of 2015. 21 Days of Christmas: Stories that Celebrate God’s Greatest Gift, followed that. 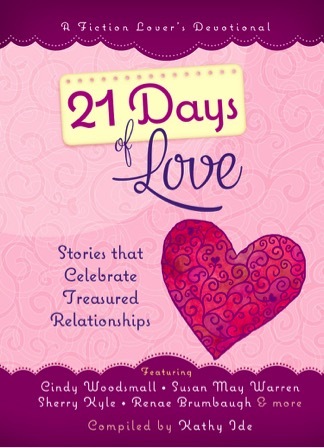 The third book, 21 Days of Love: Stories that Celebrate Treasured Relationships, released on September 1, 2016, followed by 21 Days of Joy: Stories that Celebrate Mom. Each book contains twenty-one short fiction stories, followed by brief life applications, each written by a different author: some best sellers, some mid-range authors, and some new writers. The short chapters in these books are perfect to read over breakfast, at lunch break, before bed, or curled up in your favorite chair with a cup of coffee or tea. And you can take these purse-sized devotionals wherever you go, to read when you have a few minutes of down time. It’s a great way to get “inspiration on the go.” And they make fantastic gifts for friends and loved ones. If you love Christian fiction, you’ll recognize some of the authors. And as you read these books, you’ll probably discover a few authors who may become new favorites. This series would also work great in a women’s group, Bible study, book club, life group, or even just a bunch of friends who want to get together once a week and share how the Holy Spirit spoke to them through these stories. Study guides are available for all of these devotionals as free PDF downloads from www.FictionDevo.com or as 99-cent e-books from Amazon and Barnes & Noble. I’m glad I didn’t give up on this dream. I know God made sure these books got published in just the right way and at just the right time … according to His plan. He will make sure they get into the hands of the people He had in mind when He called me to do this in the first place. 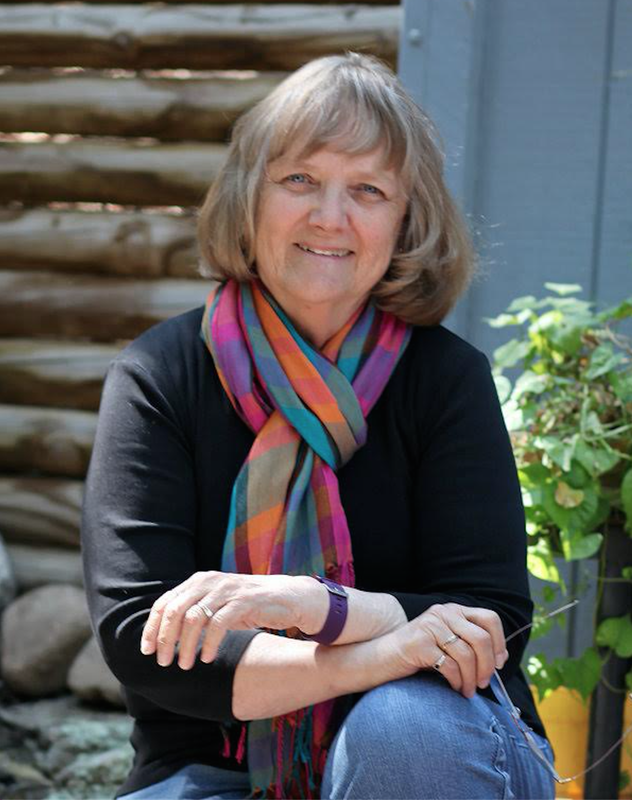 Kathy Ide is the author of Proofreading Secrets of Best-Selling Authors and editor/compiler of the Fiction Lover’s Devotional series. She’s also a full-time freelance editor and director of the SoCal Christian Writers’ Conference and Mount Hermon Christian Writers Conference. She’s co-owner of Christian Editor Network LLC. *The author (Kathy Ide) wants to restrict this book giveaway contest to residents of the United States of America (U.S.A.) because it's too expensive to ship a book overseas. So only if you live in the United States of America (U.S.A.), are you eligible to enter this book giveaway contest. If you are a U.S. resident, fill out the entry form on the Rafflecopter widget below for your chance to WIN a copy of Kathy's book! Anna cringed, waiting for the inevitable crash. The accident couldn’t have been prevented. Not really. She’d tripped over a child’s forgotten toy, sending that stack of slippery plates flying. Slapping her hands over her face, she waited for the impending wrath of Roz the Terminator. Her first mistake? Rinsing her hands and then forgetting to dry them before bussing tables. Who knew there’d be so many details to remember? She’d thought this job would be easy. How could people do this for a living? After only three days on the job, she should turn in her apron and acknowledge the truth—she was a terrible waitress. Wait a second. No crash. Only the sound of clattering, not shattering, plates. And people were…clapping? Splaying her fingers wide, Anna dared to peek. One of the construction guys who’d been sitting in the back corner booth—Weston, apparently—crouched in front of her. He attempted to stabilize the stack of wobbly plates in his hands while his comrades whistled, stomped, whooped, and hollered. Appearing unsteady, his forehead creased with a deep frown. Anna wanted to tell his cronies to pipe down their rowdiness in case it made Weston nervous, but they probably wouldn’t listen. She glanced at the floor. Surely she’d missed one of the plates falling in the midst of all the loud cheering? Nope, no shards lay scattered across the hard floor. How had he managed to corral them without any casualties? “Let me help you.” Anna started forward but then hesitated. On second thought, that wasn’t the best idea considering she seemed especially clumsy tonight. Who knew what chaos she might create? They’d probably both end up on the floor. That’d be interesting but would solve nothing. “No problem. I’ve got them.” Weston’s focus didn’t waver, and he’d captured the attention of everyone in the diner. A slow grin spread across his face as he cautiously rose to a standing position—six feet or thereabouts of controlled muscle in a white but dirt-covered T-shirt and worn jeans. His light brown beard was neatly trimmed and curls peeked out from the bottom of his backwards Atlanta Braves cap. Cute guy. They were only plates. She shouldn’t even care. But for some inexplicable reason, she did. Maybe not, but she liked his deep, charming southern drawl. Baby blue eyes, offset by tanned skin, settled on her. “I’m Weston Galloway. And you are?” She appreciated how his gaze didn’t dip south of her name tag. In spite of how he was dressed, and the somewhat rough-cut company he kept, Weston seemed like a gentleman. “I’m Anna. Anna Redmond. It’s nice to meet you.” Was it wise to give him her last name? At least she’d only given him the shortened version of her first name. The odds were against Weston recognizing her name or knowing who she was. An embarrassed Weston was even cuter. If only he knew what a refreshing change he was compared to most men. “Hang on a second. Don’t move.” Anna hurried behind the counter. “Sure. I’ll have Candee bring it over to your table in just a minute.” Should she offer to comp their check? Probably not. Guys could be weird about a woman paying for things, and it might come across as odd. Besides, a woman working in a small-town diner wouldn’t be able to afford it, so it wouldn’t be a normal thing to do. Normal. Above all, that’s what she wanted, what she needed. She hadn’t lived a normal life in so long, she wasn’t sure she remembered how. But she could try. 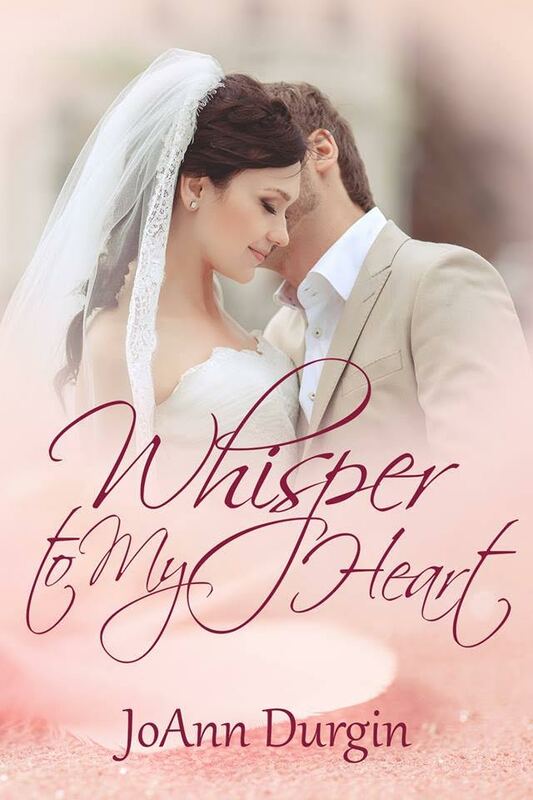 In addition to Whisper to My Heart, USA Today Bestselling Author JoAnn Durgin is the author of eight novels in the beloved Lewis Legacy Series, as well as Prelude, the prequel to the series. 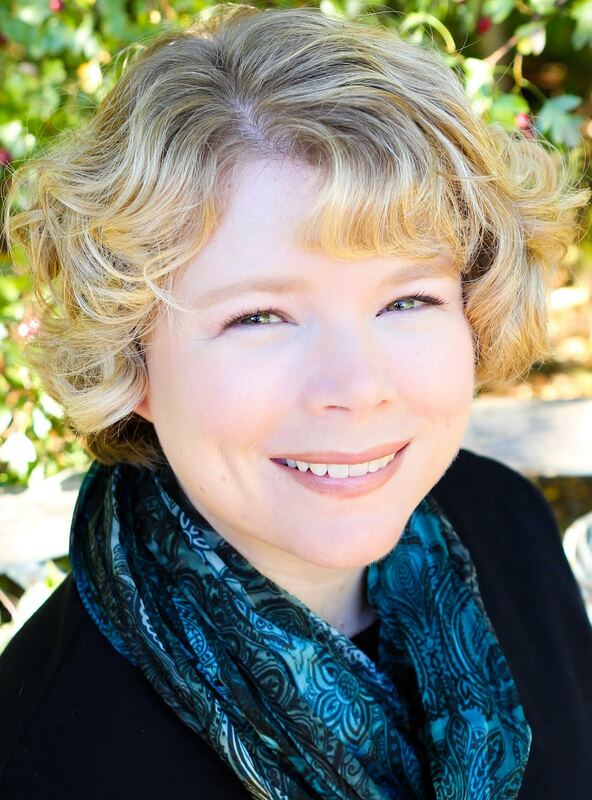 Her other works include the Amazon bestselling Catching Serenity, Heart’s Design and its sequel, Gentle Like the Rain, the Wondrous Love Series, Echoes of Edinburgh, Perchance to Dream, Whisper to My Heart, The Christmas Challenge, and the popular Starlight Christmas Series. Title for book review: An Old-fashioned contemporary romance! Another fabulous romance from JoAnn Durgin. A sweet story of love at first sight between Anna and Weston. Even when you are not looking for love, sometimes love finds you - in unlikely places. Anna is looking for a "normal" life and finds it in small town Darling, GA. Working her first job in a diner, she bonds with and is accepted by the locals in this town even though Anna will only be around for a couple of months. Along with the "normalcy" she meets Weston, a contractor temporarily working on a project in Darling. Weston is a man strong in faith and character. One of the highlights of this story is watching Weston live out his faith and standing firm against the sinful world and temptations that surrounds him. His desire to court Anna, like generations past, really warmed my heart. 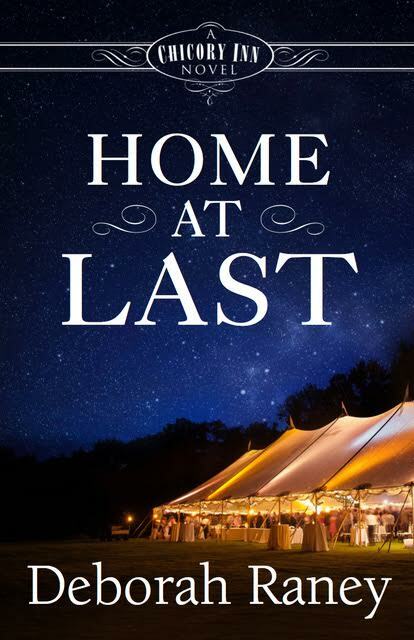 Can Anna and Weston have a future after they both leave Darling, GA? Can they remain pure and true to God's word, overcoming fleshly desires? What will Weston think of Anna when he finds out who she truly is? 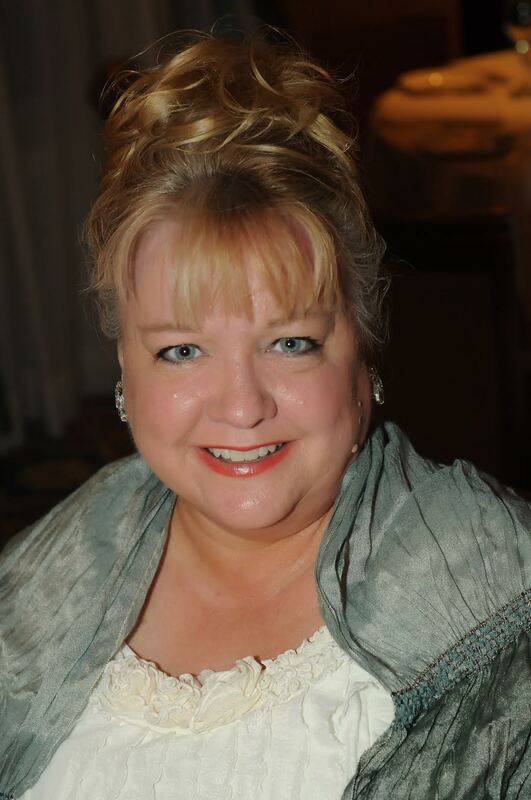 JoAnn Durgin creates realistic characters that have every day struggles and flaws. They show us, the readers, how we, too, can live out our faith in everyday lives. I am hooked with every one of her books and I can't put them down! I love her writings and genuinely care what happens to her characters. You will too. JoAnn's books never disappoint. Whether you are single, engaged, married, divorced or suffering the loss of a loved one, I want you to know that on this Valentine's Day you still have HOPE and a reason to rejoice because you are LOVED by GOD! May He shower you with His richest blessings today you celebrate this holiday of love. May You experience Him in a new and wonderful way as you spend time studying His Word (The Holy Bible) and reflecting on His perfect love for you. Remember to treat others how you want to be treated not just on the holidays but every day. Everyone deserves to know God and experience His boundless love for all of humankind. Deborah: God sees and loves all of His children equally. And He has called us to love one another the way He loves us. Right now, we’re not doing a very good job of it in this country (The United States of America) and in this world. And that breaks my heart. If my writing can be one drop of water in a flood of love that brings healing, then I will feel my work was worthwhile. Alexis: What can you tell us about your hero (Link Whitman)? Describe his looks, personality and heart for the heroine. Deborah: Link is the fun-loving little brother in a big, boisterous family. His older sisters dote on him. His only brother, a U.S. Marine, died a hero, and Link lives somewhat in his shadow. Alexis: What can you tell us about your heroine (Shayla Michaels)? Describe her looks, personality and heart for the hero. 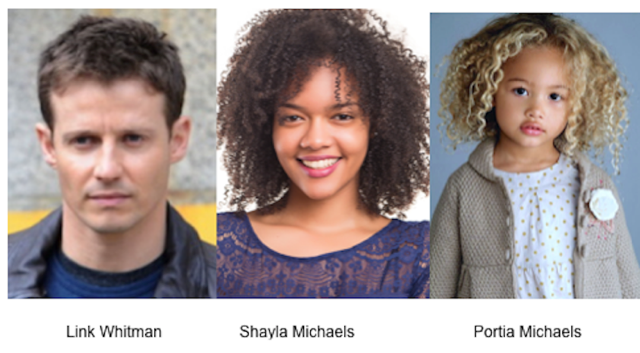 Deborah: Shayla is a product of her parents’ loving, but difficult interracial marriage. She struggles to discover who she is, in her own right, but also in Christ. She’s been saddled with the huge burden (but also joy) of raising her niece and caring for her father after her mother’s death. Alexis: What brings Link and Shayla together? Do they like each other at first? Why or why not? Deborah: Shayla has met Link before (and likes him very much), but doesn’t realize at first that it’s him when they meet again on an icy morning after Link almost runs over her niece with his truck! Alexis: What does Link not like about his life as a bachelor? Does he have issues with him being the only single person in his immediate family? Explain. Deborah: Link is definitely starting to feel the pressure from his sisters and family. He would like to be married and have what his siblings have—love and family—but he’s not willing to rush into anything just to satisfy his sisters’ matchmaking whims. Alexis: What role does Chicory Inn play in this story? Deborah: The Chicory Inn is symbolic of the warmth of home, the love of family, and the coming together in Christ of many diverse people. It is the setting of two weddings in Home At Last, and it has been, of course, Link’s childhood home. Alexis: Shayla is biracial with an African American Dad and a White American Mom. Was it challenging for you to write her character? Why or why not? Deborah: Just as it is when I write any character who is different from me—whether in gender, age, occupation, economic status, religion, or race—it is a challenge to assume the point of view of someone very different from yourself. I know that I’d better do my homework if my character is to be believable. When I write from a male character’s point of view, I often holler down to my husband, “Is this something you would say? How would you feel if…?” Or if I’m writing a character who’s closer in age to my kids than to me, I’ll shoot them an e-mail and ask, “How would you say this? What word would you use?” Of course, knowing a wide variety of people, having watched a ton of movies and read a ton of books, I’ve learned a lot about people who are different from me. But I admit I’m surprised by how often I guess the answer wrong to those questions! Writing a biracial character was no different. I’ve never experienced being biracial, and I’ve never been in an interracial relationship. So I did what I do with every novel: I found real people to interview who have experienced those things. I also asked them to read my finished manuscript and to be very honest about whether I was writing realistically or if I’d gone off track. Alexis: Why is the maternal side of Shayla’s family so hostile to Shayla? Deborah: The simple answer is: sin. Perhaps it began as fear, or an unwillingness to learn to know someone different from them. But the bottom line is that they let the sins of of racism and hate infect their family, and Shayla and her family suffered because of it. Alexis: Why did the paternal side of Shalya’s family embrace her but her maternal side did not? Deborah: Racism seems to be one of those “sins of the fathers…visited upon the children…” kinds of sins. My own parents taught us to love all people. They treated everyone the same, and it seemed to just come naturally to follow their example. But sadly, for children who grew up in homes where hate and racism ruled, they leave home with those same ugly attitudes and judgments—and worse, they pass them down to their own children. Alexis: Shayla’s had a rough life. How did you as the author, use her pain to propel her into her purpose? Deborah: I’ve learned in my own life that God can take our pain and turn it into something useful, make us teachable, make us compassionate. Turn ashes into beauty. I wanted that kind of redemption for Shayla. Alexis: What role does your characters’ faith in God play in this story? Explain. Deborah: I usually write about how faith makes a difference in my characters’ reactions to the trials and tragedies of life. In my own life, God has made all the difference, so I want to explore that phenomenon through my characters as well. Alexis: What role does the bakery, “Coffee’s On” play in this story? Deborah: As the Chicory Inn business is a backdrop for Link’s life and home, so the bakery is the backdrop for Shay’s life. She’s practically grown up there and can’t imagine any other way of living. Alexis: What makes Shayla and Link fall in love? Deborah: They discover that they have much more in common than they have differences. They genuinely respect each other. And they genuinely like each other. They make each other laugh. And they’ve each learned some important truths about life from the other. Alexis: What challenges do Shayla and Link face when they go out on dates as an interracial couple? Deborah: Until Jesus returns and the New Heaven and New Earth are established, there will always be jerks on this earth. And each of us is likely to cross paths with a jerk or two in our lives. Shayla and Link, because of the differences in their outward appearance, run into more than their share. But as they grow into God’s calling for them to be together, they also begin to notice the positive reactions of some people who encourage and cheer them on, despite the challenges. Alexis: What’s the moral of the story? Deborah: The entirety of God’s Word, from Genesis to Revelation is a story of redemption and reconciliation! Christ’s death on the cross, which reconciled us to God, is the essence of the love we should have for one another. If we all lived and walked in His love, reconciliation would happen every minute of the day. Alexis: Complete this sentence: My favorite part about writing this story was __________________ because __________________________. Deborah: My favorite part about writing this story was the love story between Link and Shayla, and how they became “parents” to Portia because love makes the world go ‘round! I love exploring the intricacies of family life and the beauty of godly romance between a man and a woman. Alexis: Thanks for the interview, Deborah! Do you have any final comments? Deborah: Thank you for the great questions, and for giving me a chance to talk about my series and this newest book in particular! 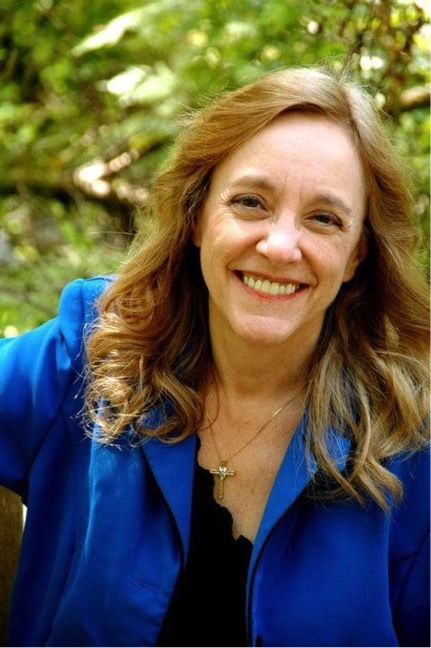 Deborah Raney's first novel, A Vow to Cherish, inspired the World Wide Pictures film of the same title and launched Deb’s writing career. Twenty years and thirty books later, she's still writing. She and her husband traded small-town life in Kansas, the setting of many of Deb’s novels, for life in the city of Wichita. They love traveling to visit four grown children and seven grandchildren who all live much too far away. Visit Deb on the Web at www.deborahraney.com. 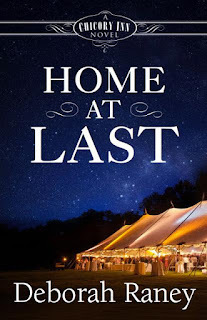 Blurb for Deborah's book, Home at Last: Link Whitman has settled into the role of bachelor without ever intending to. Now he’s stuck in a dead-end job and, as the next Whitman wedding fast approaches, he is the last one standing. The pressure from his sisters’ efforts to play matchmaker is getting hard to bear as Link pulls extra shifts at work, and helps his parents at the Chicory Inn. All her life, Shayla Michaels has felt as if she straddled two worlds. Her mother's white family labeled her African American father with names Shayla didn't repeat in polite––well, in any company. Her father’s family disapproved as well, though they eventually embraced Shayla as their own. After the death of her mother, and her brother Jerry’s incarceration, life has left Shayla's father bitter, her niece, Portia, an orphan, and Shayla responsible for them all. She knows God loves them all, but why couldn't people accept each other for what was on the inside? For their hearts?